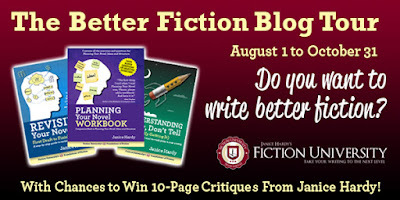 Today's stop on the Better Fiction Blog Tour stops at Write Now! Coach, sharing 5 Reasons Planning for NaNoWriMo Can Help You Hit Your 50,000-Word Goal (with another chance to enter to win a ten-page critique). Come on over and say hello!